Inf. Ins. 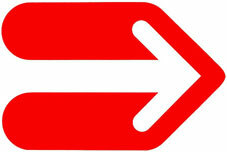 is the abbreviation of ‘information inside’, which can be understood as an encouragement to ‘read more’. At first sight, the idea is truly simple: initiator and artist Mel Chan invited ten artists to insert artworks into books from the Leeszaal, without (physically) ruining them. Visitors of the Leeszaal who find those books can keep them for free. In this epoch, in which tangible books are on the brink of perishing, libraries are closing down and fading into history. And while the act of reading is being re-shaped and fragmentized through various new media, a reader’s encounter with a physical book in the library is rather nostalgic (and hence, romantic). In this exhibition, art functions not only as an intervention but also as a reconstruction of the reminiscent act of reading. Between the turning pages, a tacit secret is embedded; and every page is a new adventure. My contribution is a printed text piece. 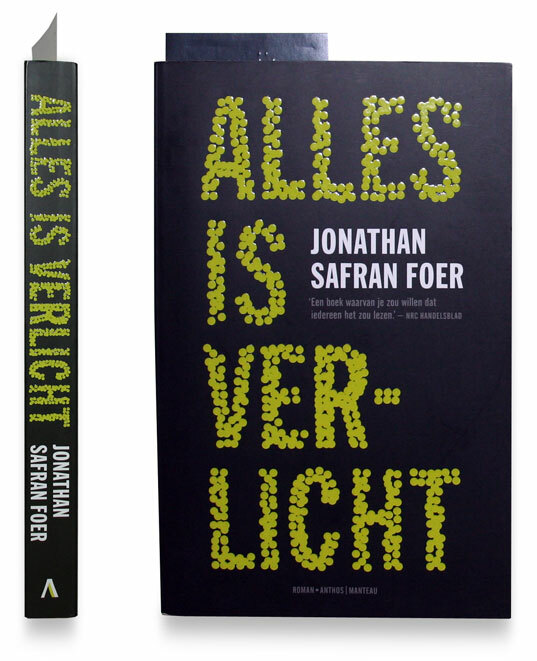 Subject is the process of both visual and tactile reading, and the desired impact of the printed words on the reader. 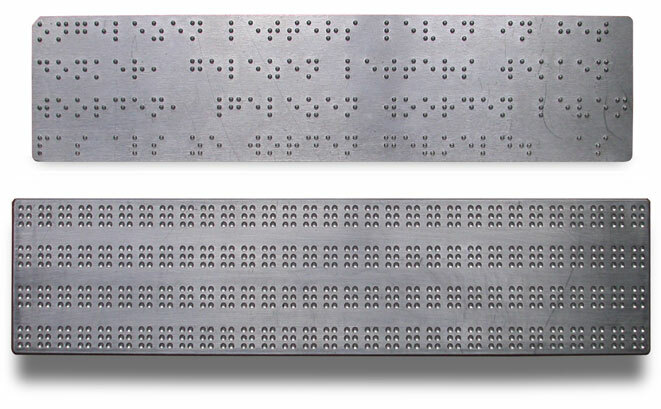 This series of work consists of a message in braille. 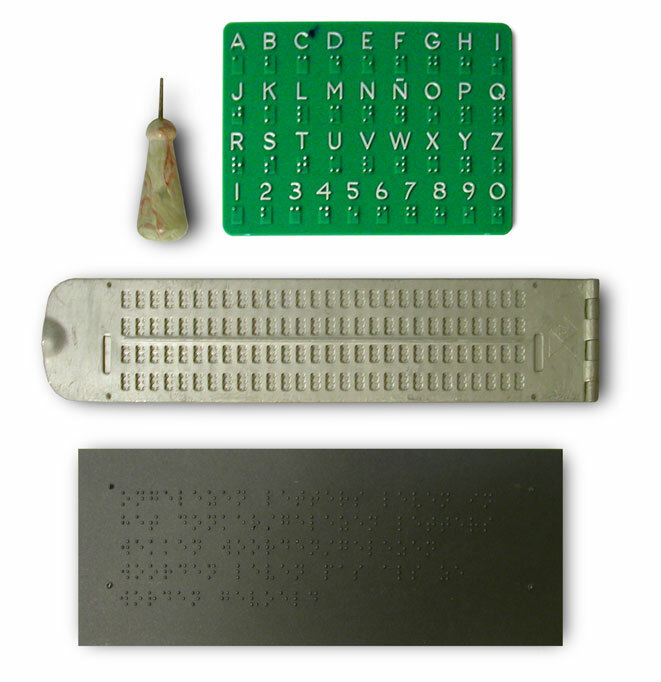 The braille characters were embossed in a piece of black paper, measuring 210 x 60 mm. I inserted the multiple art work in 350 Dutch Leeszaal books. Readers can use them as bookmarks. 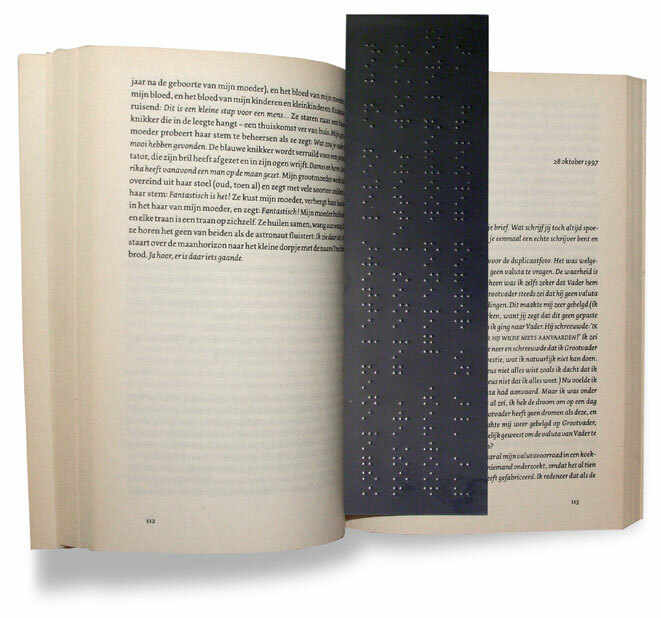 Prototype of the bookmark made with braille slate and stylus. Embossing process at Sparta printing office, Leiden. mov-file / dim. : 480x 272 / size: 912 kb / dur. : 09 sec. If you want to read the message on the bookmark, use your cursor to select the hidden (white) words in the void directly below this sentence. Bookmark inserted in one of the Leeszaal books. Location: Leeszaal Rotterdam West, Rijnhoutplein 3, Rotterdam. Opening: Saturday September 21, 2013, at 15 hr. with a performance by Yelena Myshko. The exhibition shall last until the last book with inserted artwork disappears from the Leeszaal’s bookshelves. Click here to download the PRINTVERSION of the inf.ins. info sheet in .PDF-format. File size: 492 KB / Size publication: portrait A5 / 8 pages. © 2013, Rotterdam, Arnold Schalks.